Bain Dermatology (Raleigh) - Book Appointment Online! 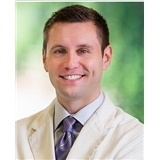 Dr. E. Eugene Bain III is excited to return home to his native state, after having been away for the past several years of his residency and fellowship training. Dr. Bain’s extensive training as not only a dermatologist, but also as a fellowship trained Mohs micrographic surgeon, makes him uniquely qualified to expertly care for your dermatologic, skin cancer and cosmetic needs.